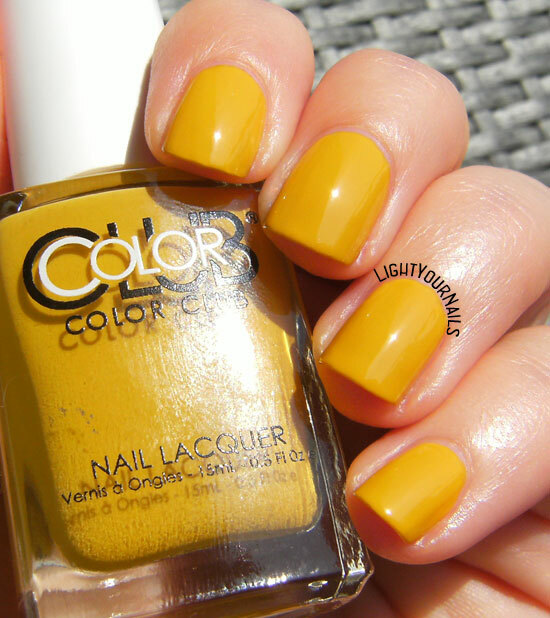 Color Club Je Ne Sais Quoi | Light Your Nails! Se c’è un colore che indosso sempre volentieri in estate è il senape. Non so se sia una cosa solo mia o se per tutti è così, tant’è che ho un milione di magliette di questo colore, ma niente di invernale, tutta roba estiva. E’ un colore che amo, anche se non mi sta particolarmente bene a dire il vero. Ovviamente non possono mancare smalti di questo colore nella mia collezione, e quello che vi mostro oggi è uno di quelli. Il Color Club Je Ne Sais Quoi* è una lacca color senape uscita con la collezione Paris in Love, nell’ormai lontano 2014. Questo smalto è semplice da stendere, ma non è troppo coprente. In effetti servono almeno tre passate per avere un colore uniforme e non lasciar trasparire l’unghia sotto. A colour I always like wearing in Summer is mustard. I don’t know if it’s only me because it’s probably more of a Fall shade. Anyway, I have plenty of shirts this colour and all of them are Summer ones, no winter clothes. It’s a colour I love even though it doesn’t really compliment my skin tone that well to be honest. Needless to say I have a few nail polish bottles to wear along, too. 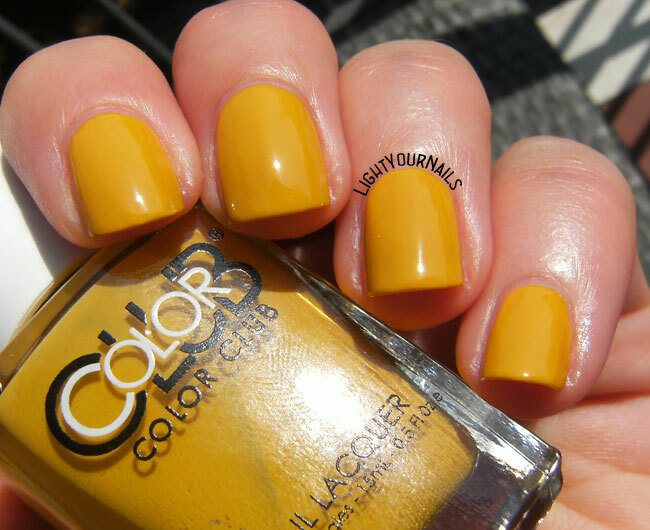 Color Club Je Ne Sais Quoi* is a mustard creme that was released in 2014 Paris in Love collection. This nail polish is very easy to paint but it’s not very opaque. You gotta do at least 3 layers to have an even coverage and avoid seeing the nail underneath. Pics: three coats + top coat. Non c’è molto da dire sullo smalto di oggi. Credo che sia uno di quei colori che o piace, o proprio no, senza mezze misure. Per quanto riguarda Color Club è un brand con cui io mi trovo bene, e per questo motivo lo vedete spesso sul mio blog, nessun mistero. Cosa mi dite del color senape? Vi piace? E a che stagione lo associate? There’s not much to say about today’s nail polish. I think it’s one of those shades that you either love or hate. And about Color Club, it’s a brand I really like, no secret, and that’s why you see it quite often on my blog. What do you think about mustard? Is it a colour you like? And what season is it most fitting in your opinion? I don't dislike this colour, but I don't think I'd like it on me. It does look lovely and smooth though. Thank you Kerry! I think very few skintones can actually rock such a shade. I perfectly know what you mean Cheyenne! Now that I think about it, I don't own a mustard yellow. I need to change that...soon! Não usaria, mas achei bonitinho em ti. Not a color I would pick I think, although I think it's pretty! Looks good on you! Thank you Miriam! It doesn't look so good overall but I still like it. This isn't a color I would go for, but it looks amazing on you! Nice mustard, I like wearing them from time to time. Grazie! Va benissimo per quando le foglie cadono, vero? 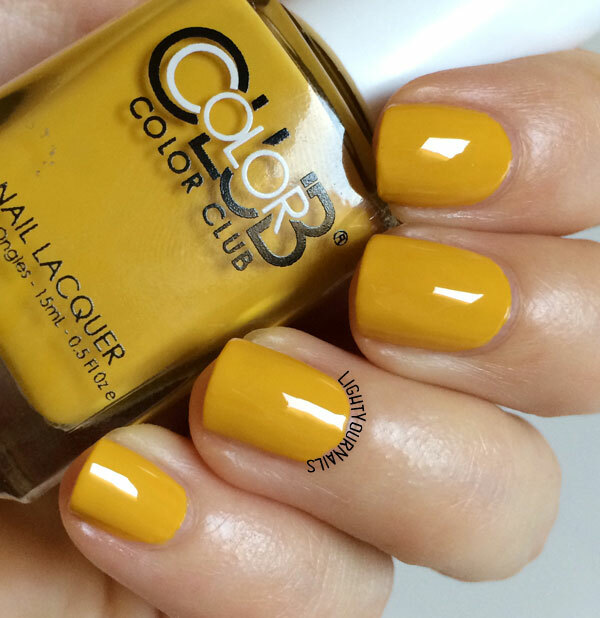 This yellow is fantastic! I love mustards!! I don't think this would look good on me, but I absolutely love it anyway! I am totally like that, too! i love a good colour like this. nice change from the usual! I like mustard on you, but mustard is not my kind of color! It looks like a great polish and I also really like Color Club. I love these funky yellows! I definitely tend to wear them more fall/winter though. This looks gorgeous on you and so creamy and smooth! I love it! Love the color, & I love the name! I'm shocked how much I love this shade! It looks great on you! Moooolto particolare! Su di me non riesco a vederlo molto, ma a te sta bene! Colors like this remind me of my childhood.